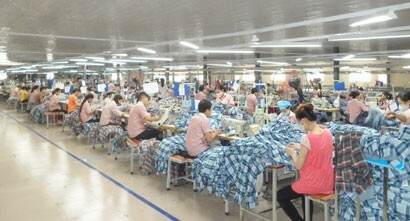 Vietnam recorded an estimated trade surplus of US$1.08 billion in the first two months of 2018, according to the General Statistics Office (GSO). Official data shows the country earned an approximate US$33.62 billion in exports, up 23 per cent from the same period last year, in which the domestic sector’s export revenues rose by 25.7 per cent to US$9.66 billion. A strong contributor was the foreign-invested sector, bringing in export revenues, including oil, of US$23.96 billion, a year-on-year increase of nearly 22 per cent. China remained the largest buyer of Vietnamese goods with US$6.2 billion, up nearly 65 per cent from a year ago, closely followed by the US and the EU with US$6 billion and US$5.8 billion respectively. 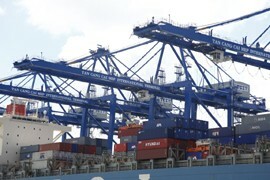 Vietnam’s exports to ASEAN, Japan, and the Republic of Korea also saw impressive rises. On the other side, imports rose by only 15 per cent during the first two months of 2018 to US$32.54 billion. Imports by domestic and foreign-invested enterprises stood at US$13.34 billion and US$19.2 billion respectively. China was also the largest source of Vietnam’s imports worth US$9.4 billion, up 24.4 per cent over the same period last year. 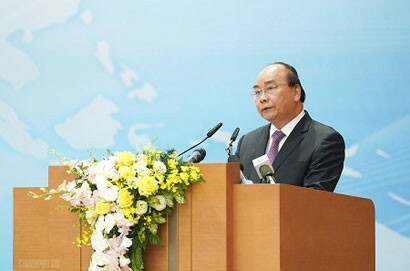 Vietnam’s imports from the Republic of Korea came second at US$7.4 billion, followed by US$4.4 billion worth of goods from the ASEAN region.